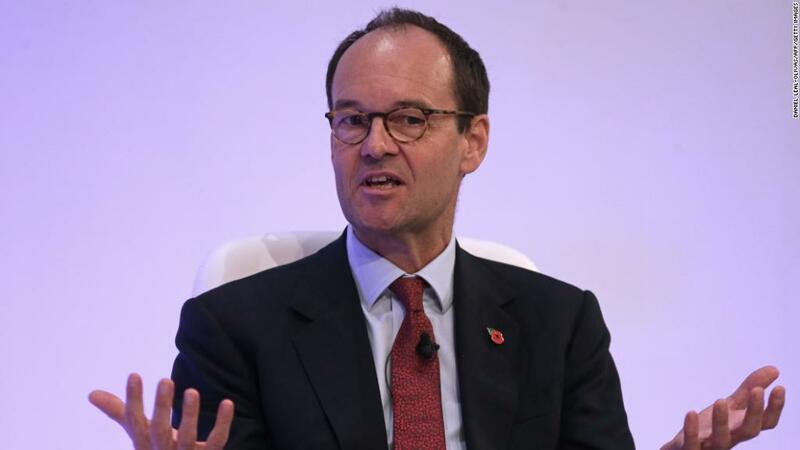 The chief executive of Sainsbury's has apologized after a hot microphone caught him singing "We're in the Money" as shares in the UK supermarket chain soared. "We're in the money. The sky is sunny. 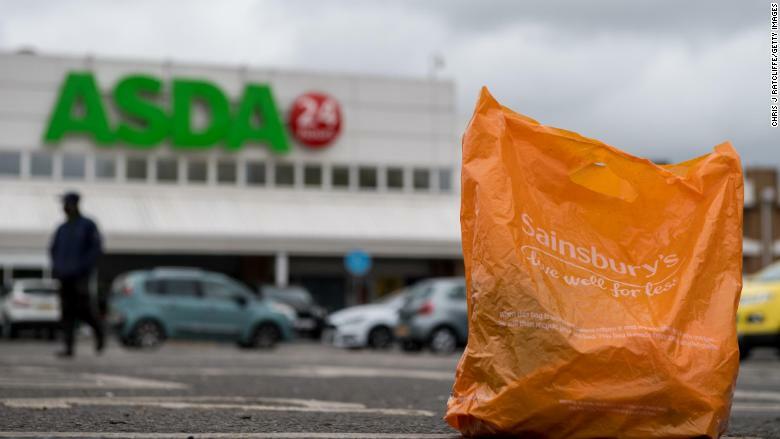 Let's lend it, spend it, send it rolling along," crooned CEO Mike Coupe after Sainsbury's announced plans to merge its business with Asda, the UK retailer owned by Walmart (WMT). The CEO was recorded singing before the start of a television interview, and the footage was later released by UK broadcaster ITV. Coupe said in a statement that he was sorry if he had offended anyone. "This was an unguarded moment trying to compose myself before a TV interview," he said. "It was an unfortunate choice of song, from the musical 42nd Street which I saw last year." Sainsbury's (JSNSF) stock shot up by 14.4% on Monday after the deal was announced. Coupe owned 1.14 million shares in Sainsbury's as of May 2017, according to the company's most recent annual report. That means he stood to gain roughly £446,000 ($606,000) from the stock move on Monday. The singing incident angered unions that represent grocery industry workers. "It's not only crass, it's completely unprofessional and utterly insensitive," said Tim Roache, general secretary of the GMB union. "What on earth will Asda workers who are worrying about their futures think when they see this?" The deal will create a mega retailer with 330,000 employees and annual sales of roughly £51 billion ($70 billion). GMB has warned that the combination could lead to job losses. Sainsbury's said it would retain both brands, and does not plan to close any stores even as it aims to save £500 million ($684 million) a year. UK retailers have shed roughly 78,000 jobs since voters chose to leave the European Union in June 2016. Sainsbury's slashed 2,000 positions in October.